I drafted this post on December 26th, 2009. It is the oldest draft in my collection, so I’m pretty excited to finally have a fairly decent photo of it so I can share the recipe with you! On my wedding day eleven years ago, my new Grandmother (this one) gifted me with her church’s fundraiser cookbook*, which included many recipes from her and other members of my new family. I treasure it! I love spiral-bound recipe books like these because they are filled with tried-and-true recipes that real people use–simple, unpretentious, and delicious. Take this one, for example. 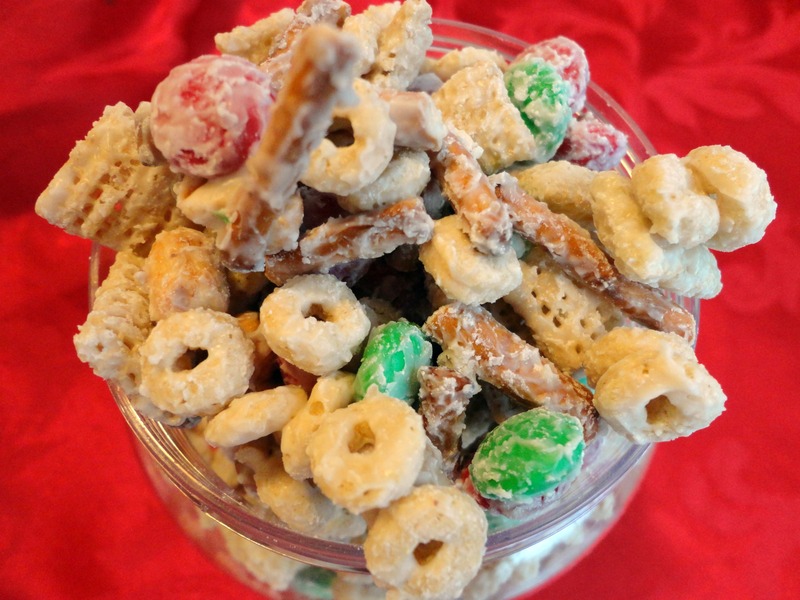 I had to giggle when I read the name “White Trash.” I really like the name because it’s funny and does accurately describe the appearance, but it is also known in classier circles as “Christmas Crunch.” I don’t care what you call it, it’s salty and sweet and addictively-delicious! So this is the last recipe I’ll be sharing before the holiday, and I think you’ll find it a perfect treat to whip up if you need a last-second snack or gift. Dennis and I are heading to Abilene as soon as we get out of church to spend Christmas** with his family, and will be back some time on Monday so I won’t be posting anything else until Tuesday at the earliest. I wish you a merry Christmas! Be safe and have fun! Mix all ingredients except chocolate or almond bark in a large bowl. Melt chocolate or almond bark as package directs; pour over mixture, mixing to coat well. Spread out onto waxed paper to dry. Break into chunks and store in airtight containers or Ziploc bags. Saves well for several weeks. *1 lb. of almond bark is 8 rectangles. Recipe source: tweaked from Donna A’s recipe. 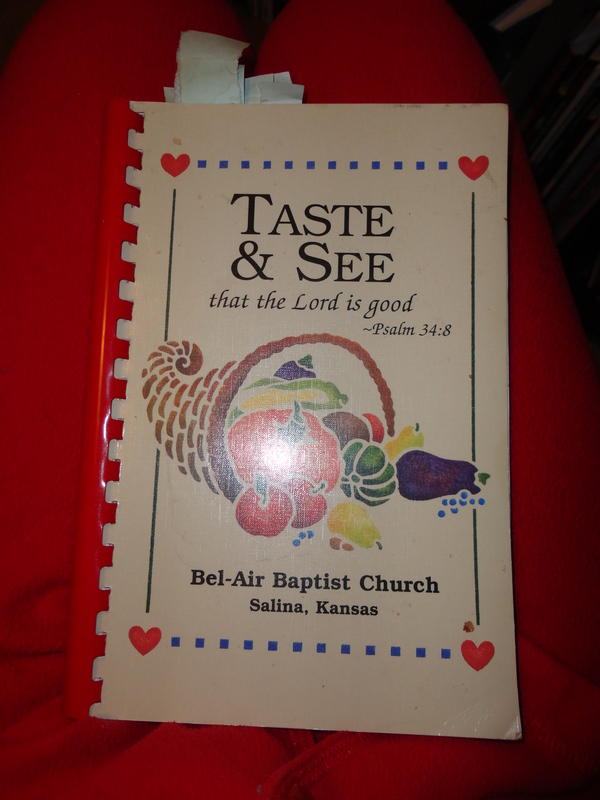 *Although I’m very thankful for this cookbook, I don’t advocate any church fundraising beyond the weekly collection. You can click here for a good article that reflects my thoughts on church fundraisers. 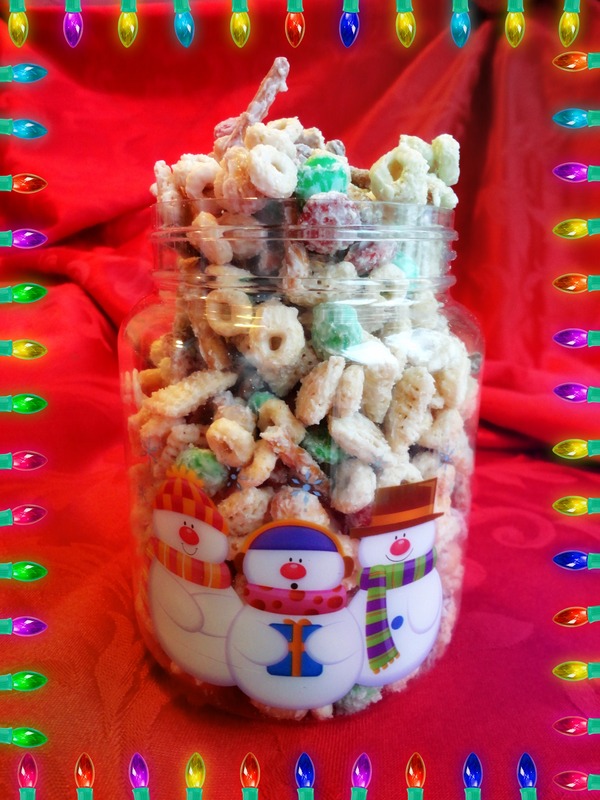 Posted in Snacks & Appetizers, Sweets and tagged Christ, christmas, easy, edible gifts, food gifts, holiday, party, sweet & salty, treats, white trash. Bookmark the permalink. Merry Christmas, my dear! 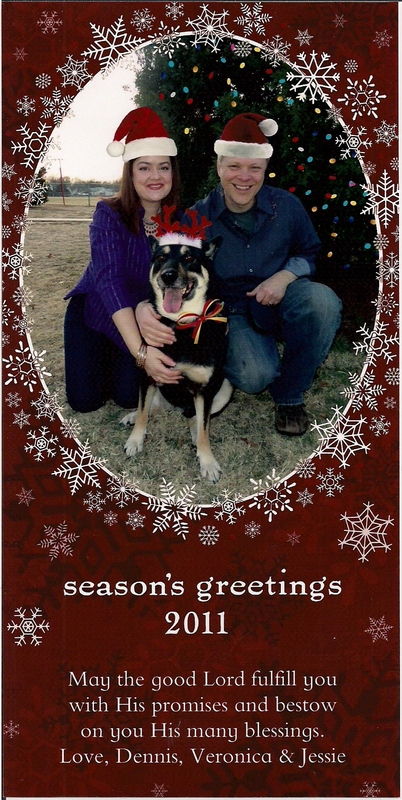 And I love your Christmas card (thanks for sending me one in the mail!! Now I can add it to my scrapbook =). Love the name, Veronica! :) No matter what you call it, it looks delicious and addictive! Besides Junior League cookbooks, church cookbooks are the best!!!!!!! I’m glad you revisited this old draft and shared it with us. And, very interesting article. Hope you are having a festive holiday! this recipe is so much fun and must be insanely delicious snack. I will definitely bookmark it for future use any time I have friends over. I never write drafts. write at once after uploading a decent picture, when I have one. that’s one reason why sometimes is difficult to post… especially in the winter, with almost no natural light (yepp, I live in Sweden!). these white trash (what a cool name) pictures were more than decent btw. they were wow. I had to giggle at the name of the recipe too ! !